Wow, where’d summer go? One minute you’re shaking the dust off your inner tubes and the next it’s like “Hey, where are you parking for tailgates this year?” But don’t lament the end of summer; fall brings the nicest time of the year in many parts of the country — specifically, those parts where trees go from green to all shades of red, yellow, and orange. 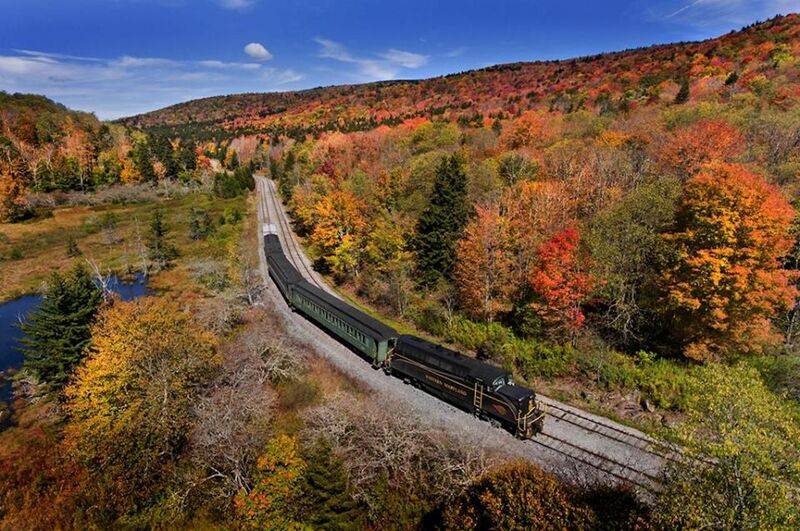 Driving to see those colors is fun, but to really experience their magic, a train ride is the way to go. 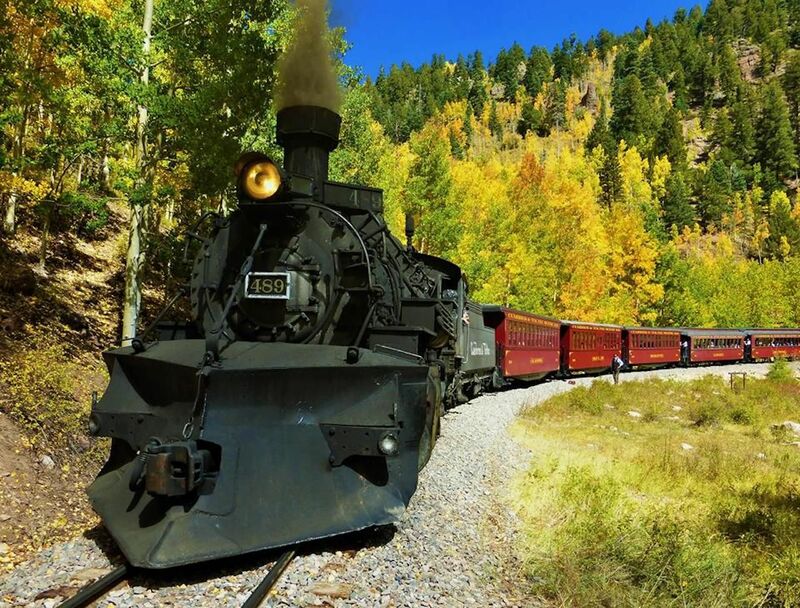 Across America, there are some spectacular railroad trips to see the fall foliage, from the famous New England autumn landscapes to more underrated fall destinations like Colorado and Tennessee. 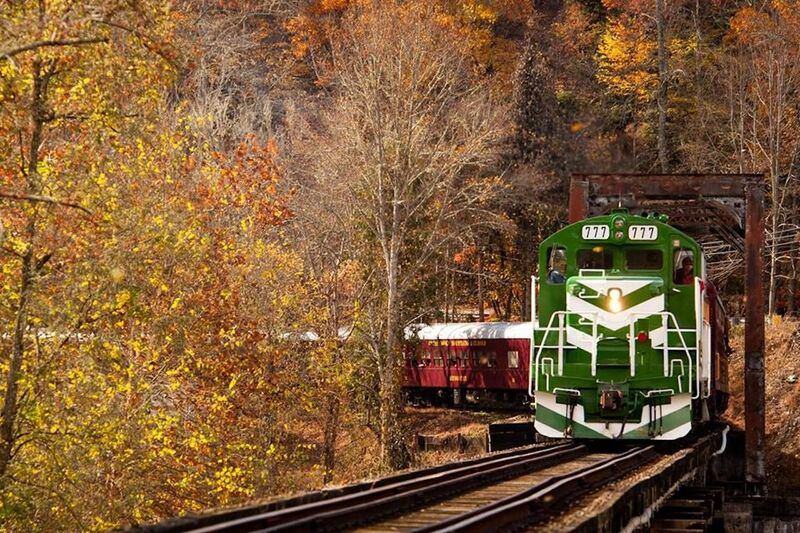 Here are the 12 best scenic train trips in the US you need to hitch a ride on this fall. This trip rumbles through New York’s High Peaks region, into Central New York, and on to Utica, past some of the most colorful leaves in the Empire State. The railroad is also partnered with rafting companies, hiking guides, and bike rentals so you can experience the colors up close once you disembark. You can also take a fall beer- and wine-tasting ride this year, tasting some of the best drinks from the region as you watch the changing trees speed by. This old cog railroad has been going through the mountains of New Hampshire for 144 years, taking visitors to the treacherous summit of Mt. Washington via one of the most scenic train rides in the country. The charming wood cars chug up to the highest point in the northeast, a three-hour round trip that spends an hour at the top to take in the views over seemingly all of New England. The tableau of oranges, yellows, and deep reds below might be the most impressive end sight of any ride on this list. The Blue Mountains are grossly misnamed during the fall as the normally dark hills turn bright colors in September and October. This 26-mile train ride from Blue Ridge to the Georgia-Tennessee border is the best way to enjoy it, with a few hours to stop in the towns of McCaysville, Georgia, and Copperhill, Tennessee. Enjoy the crisp fall air from an outdoor car, as you pass through the Chattahoochee National Forest along the Toccoa River. These two-and-a-half-hour journeys take passengers through the rolling hills of Wyoming County, starting and ending on Main Street in charming downtown Arcade. Though the bright colors could be entertainment enough, these rides in World War II-era diesel locomotives offer all varieties of theme rides, as well, like Great Train Robbers or a haunted Halloween train. The sheer size of West Virginia’s mountains makes fall the most impressive time to visit when you’ll see steep curtains of orange, red, and yellow throughout the state. 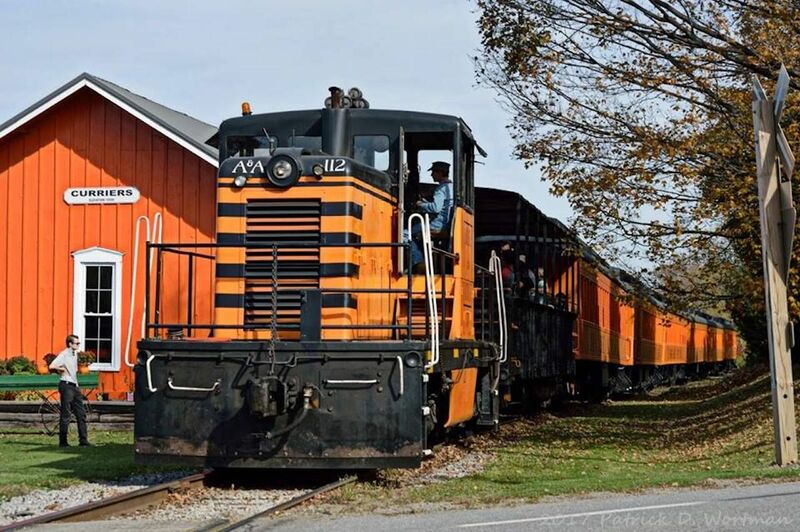 This railway offers the best variety of ways to see it, from a 4.5-hour venture to the third-highest peak in the state on the Bald Knob trip to the 2.5-hour jaunt on the coal-powered Durbin Rocket. 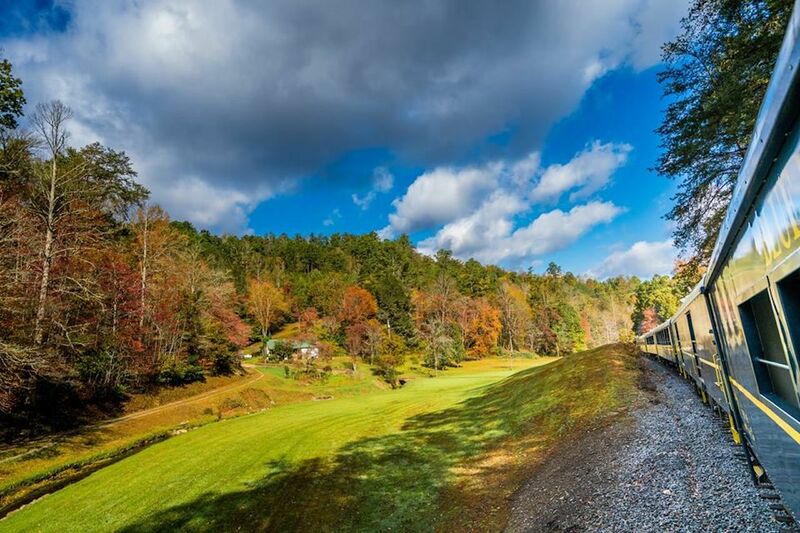 This quintessential southern leaf-peeping train ride goes through the colorful hills of western North Carolina. Go in October and you can catch the Nantahala Gorge Excursion, a 4.5-hour trip along the Tennessee and Nantahala Rivers, across the historic Fontana Trestle bridge, and to the vibrant reflections off Fontana Lake. You can also take trips that include beer tasting at a station along the way or take your kids on the Peanuts Pumpkin Patch Express. The American West doesn’t get a lot of credit for its fantastic fall foliage, what with the abundance of evergreen trees and sprawling desert. But this ride through the Rockies in New Mexico and Colorado is one of the most stunning rides in America any time of year. You’ll see plenty of colors in the desert foreground through the Toltec Gorge and across Combres Pass, speeding past little western towns and towering mountains. The ride is so picturesque it was actually featured in Indiana Jones and the Last Crusade. 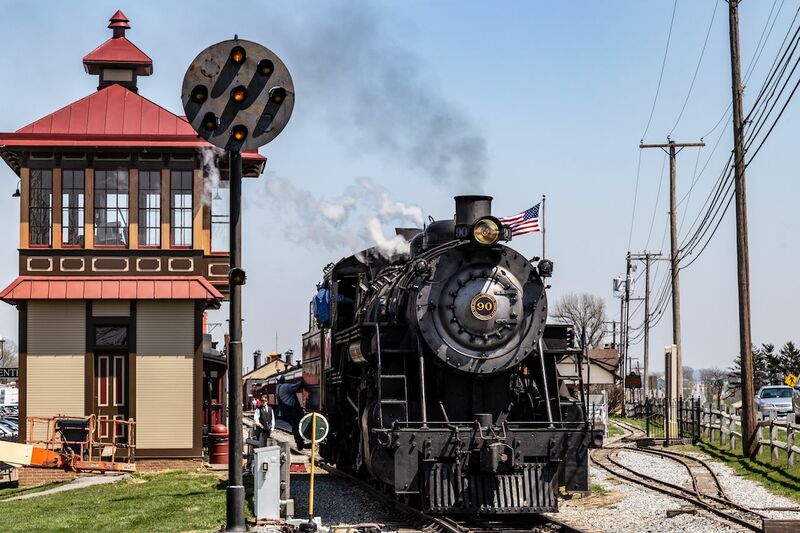 While the kids would surely rather journey on the Strasburg Railroad’s Thomas the Tank Engine replica, adults may be more interested in the first-class cars of the historic locomotive, instead. This brief trip through Pennsylvania’s Amish country offers rides done up in Gilded Age extravagance, where your first-class ticket feels like leaving the coal-shoveling masses behind. The most popular ride in the town famous for its choo-choo is the Missionary Ridge Local, a 55-minute ride over four bridges and through a mid-nineteenth-century tunnel. 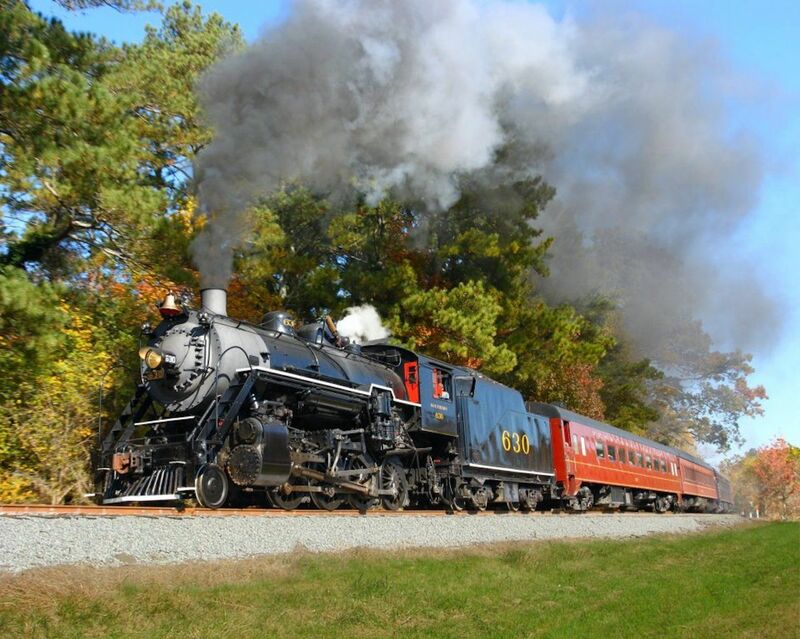 But to really get the most of the fall colors in this area, opt for the Hiwassee River Rail Adventure, which takes you on a longer ride through the Cherokee National Forest, surrounding you with brilliant leaves and thick foliage. 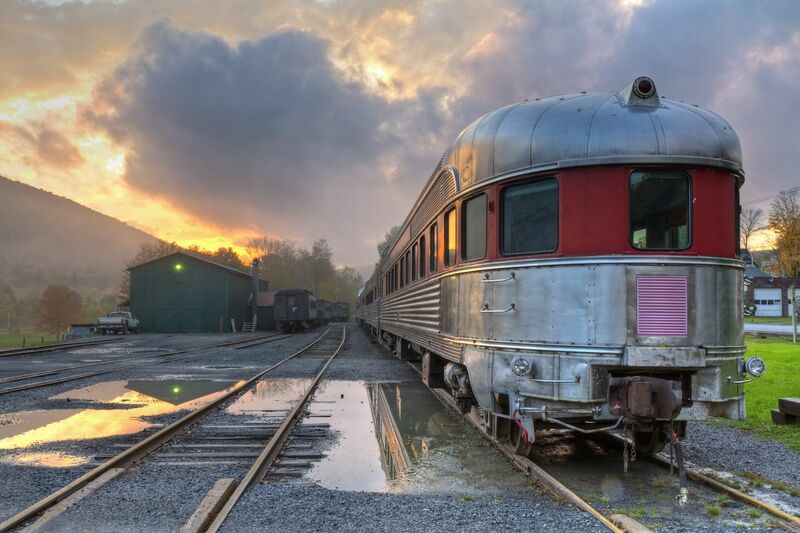 This calming trip through the Catskills seems to traverse a storybook setting over rustic bridges, bubbling streams, and through colorful valleys — which makes sense as the railway’s trademark ride is the Rip Van Winkle Flyer, which features a glass-domed dining car and meanders through the haunts of the most famous sleeper in history. Other events include twilight music trains and train-robbery barbecues, set against some of the most spectacular fall backdrops in America. 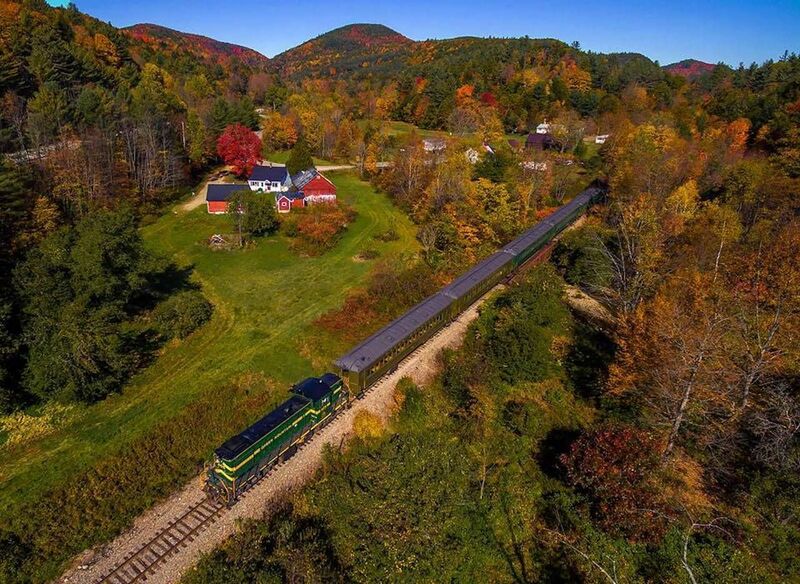 The most scenic five weeks in Vermont are during leaf-peeping season, and this railroad operates five days a week, so you can see it all by train no matter when you go. 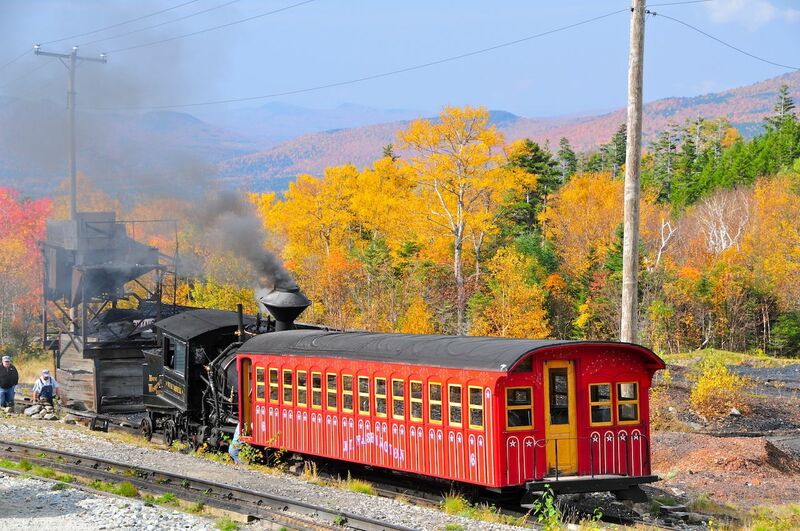 The most popular ride is the three-hour fall foliage excursion, chugging to the top of Ludlow Mountain for the best perspective on the scenery. 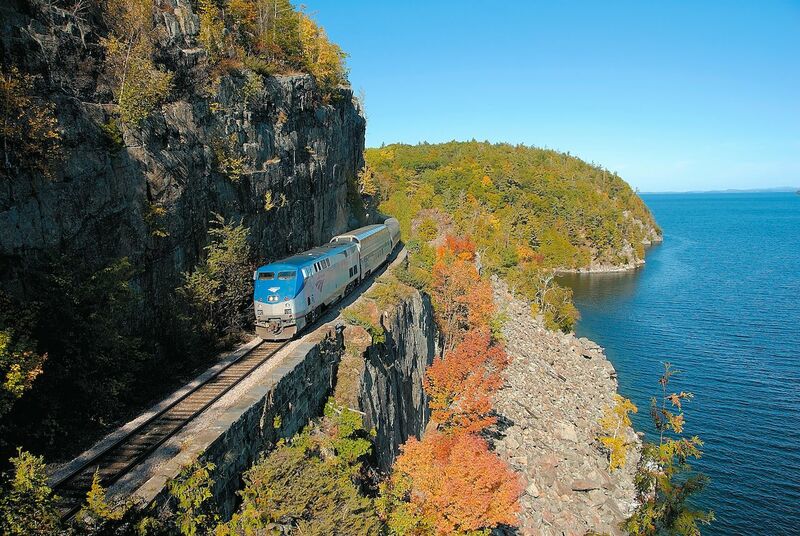 Friday nights bring cocktail rides through the colors along the Connecticut River, and Saturday night you can enjoy a three-course gourmet meal on Green Mountain’s dinner train. 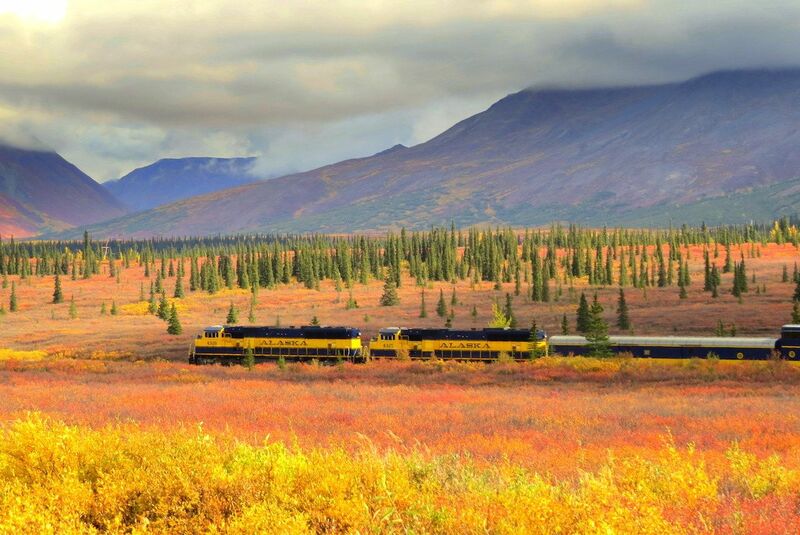 If you wanna get a jump on the fall colors and don’t feel like waiting until it interferes with college football, head to Alaska where this train runs through the fall colors of Denali National Park starting in summer. The twelve-hour trip to Fairbanks stops in Wasilla, Talkeetna, and Denali National Park. And on clear days, you’ll see all those fantastic leaves fronting the snow-capped peak of the tallest mountain in America at Denali.